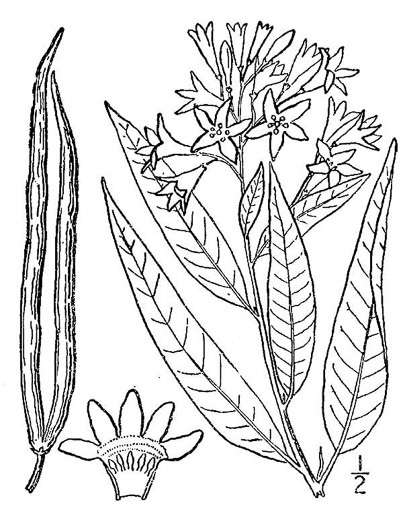 This plant has milky sap, which is characteristic of Apocynaceae, per Wildflowers of the Southern Mountains. 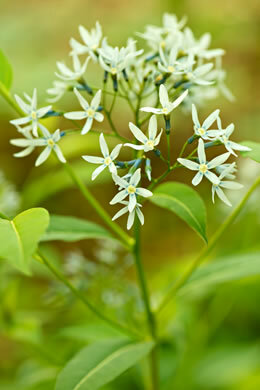 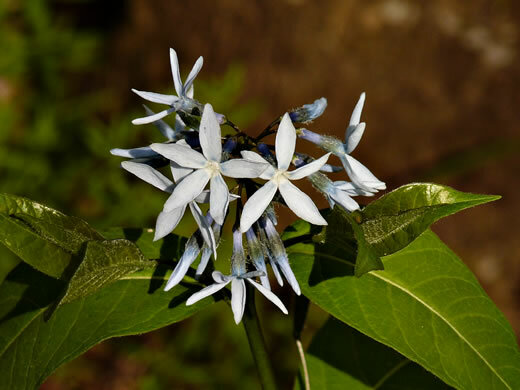 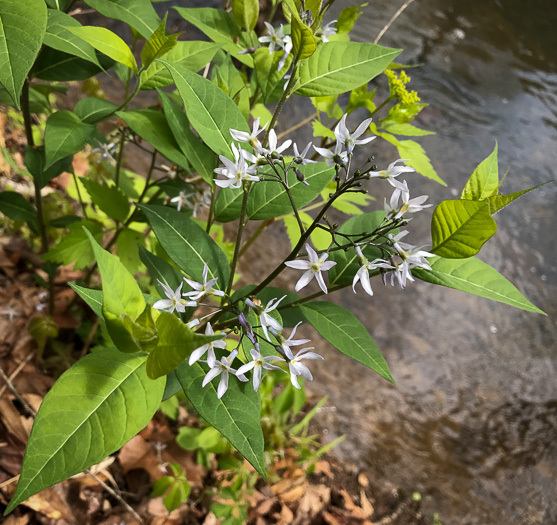 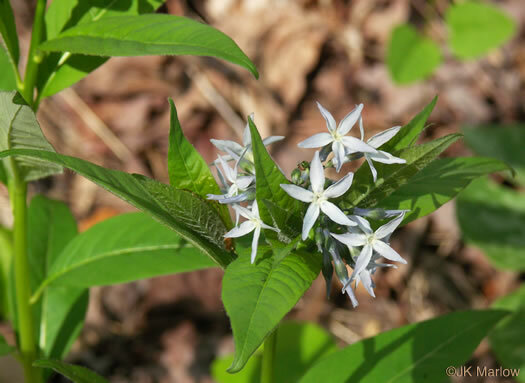 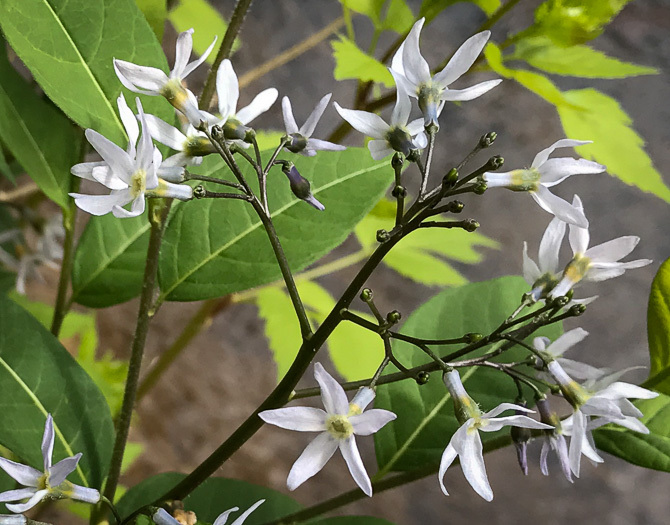 Leaves 3-6" long, elliptic to ovate, with narrowed tips and a dull surface, per Wildflowers of Tennessee, the Ohio Valley, and the Southern Appalachians. 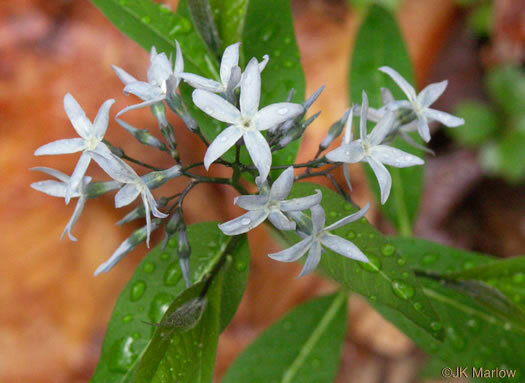 The sepals are deltoid and minute, per Vascular Flora of the Carolinas. 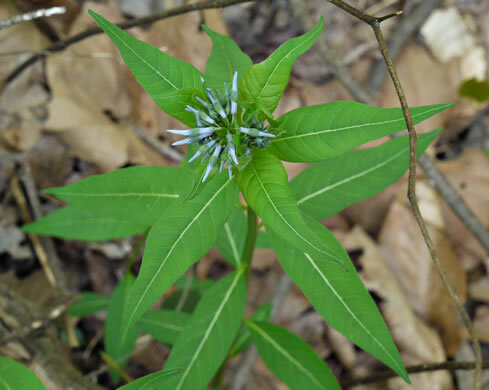 This tall smooth plant has alternate leaves, which is unusual in Apocynaceae, per Wildflowers of the Southern Mountains.